It can calculate area and pixel value statistics of user-defined selections. It can measure distances and angles. 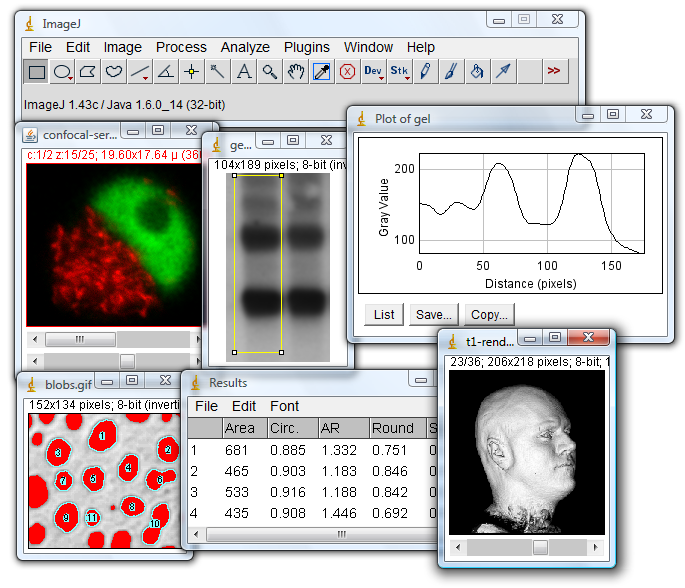 It can create density histograms and line profile plots.